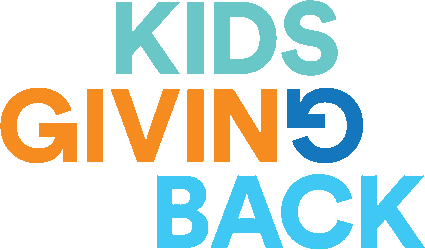 Kids Giving Back complies with the Privacy Act 1988 (Cth) (Privacy Act), the applicable Australian Privacy Principles under that Act and any other applicable privacy laws when handling personal information. We take the protection of your personal information seriously. You are not required to provide personal information to us. However, if you do not provide us with all the information we request, the services we provide to you may be affected. The types of personal information we collect may include your name, date of birth, address, phone number, email address, event and program attendance information and details of donations. We may collect sensitive information about you (such as your race, ethnic origin, political beliefs or religion). If we need sensitive information from you, we will ask for your consent when we collect this information. We may collect personal information from you through our Website or our Facebook page and when you communicate with us (including by email, telephone, in writing or in person). We may also collect personal information about you from third parties such as charity partners and schools. We may also collect information using “cookies” on our Website for the purposes of operating an efficient online service and tracking the patterns of behaviour of visitors to the Website. Although you can usually modify your browser to prevent cookie use, if you do this, our Website may not work properly for you. We may disclose your personal information to charity partners , our related companies, third parties who assist us in supplying our services or who perform operational, administrative and other related functions on our behalf (including technology and business service providers), and to others in order to comply with our legal obligations. The people to whom we disclose your personal information may be located outside of Australia. The countries in which the recipients are likely to be located include the USA or Mexico for the purposes of hosting and web development. You can request, and we will provide you with access to any personal information we hold about you (subject to certain legal exceptions). If a legal exception applies and we decide not to provide you with access to any personal information we hold about you, then we will advise you of the reasons for our decision. If we are satisfied that any personal information we hold about you is inaccurate, incomplete, out of date, misleading or irrelevant (having regard to the purpose for which it is held) we will take such steps (if any) as are reasonable in the circumstances to correct that personal information. This may include notifying third parties to whom we have disclosed that personal information. If we do not agree that personal information we hold about you is inaccurate, incomplete, out of date, misleading or not relevant, you may ask that we attach a statement to this effect to our record. If we are unable to satisfactorily resolve your concern or complaint, you can contact the Office of the Australian Information Commissioner (OAIC). To make a query concerning your privacy rights, or to lodge a complaint with the OAIC about how we have handled your personal information, you can contact the Commissioner’s hotline on 1300 363 992. The OAIC has the power to investigate the matter and make a determination.